I recently ran across this great website offering maps of several countries and cities, made from words! The outline of the country or city is created with the names of locations within the area on the map. So, for example, the United States font map is created using the names of all 50 states. 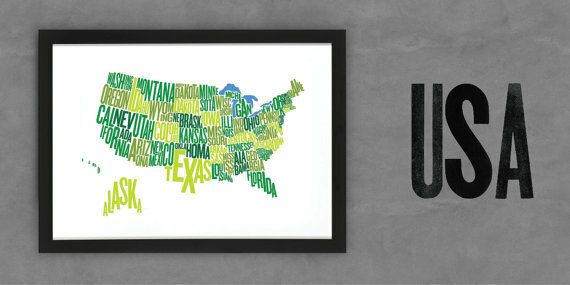 What font map would you want on your wall?